Restaurants, food trucks, markets, pop ups, private kitchens – New York has it all. 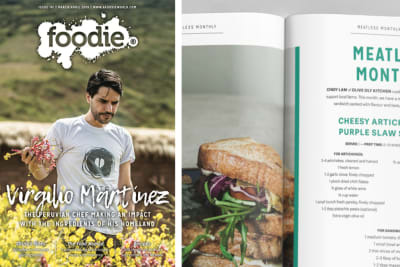 Artisan stores have followed in the wake of the prolific hipster-diners, their founders the likes of Mast Brothers Chocolate (the food incarnation of men who live in Brooklyn and their beards), and Four & Twenty Blackbirds who make some of the best, ‘homemade’ pies in the city. Between these, the mind-bending array of health/vegan/raw emporiums and old classics to get your fix, there are few cities which can rival the vibrancy of New York. Allow one hour to Midtown Manhattan (either Grand Central Terminal or Port Authorty). Taxis usually charge a flat rate of 52 USD plus tolls. Shuttles operate on a frequent basis and cost between 16 – 25 USD depending on company and whether a return ticket is bought. Brunch in New York is a cosy affair, and no where more so than at Buvette. With a sister restaurant in Paris and inspired by the traditions of Europe, it was Chef Jody Williams, a cherished figure in the American dining scene. A loquacious figure originally from the West Coast, Williams and her partner Sodi serve the likes of a tartinette with salted butter and anchovies alongside an américain and café au lait, all charmingly written in French. Scoot over to Washington Square Park, where singers and musicians flocked in the 1940s on Sunday afternoons to play all strands of folk music, and now provides an array of art to more edible options like caramelised nuts and fresh produce. 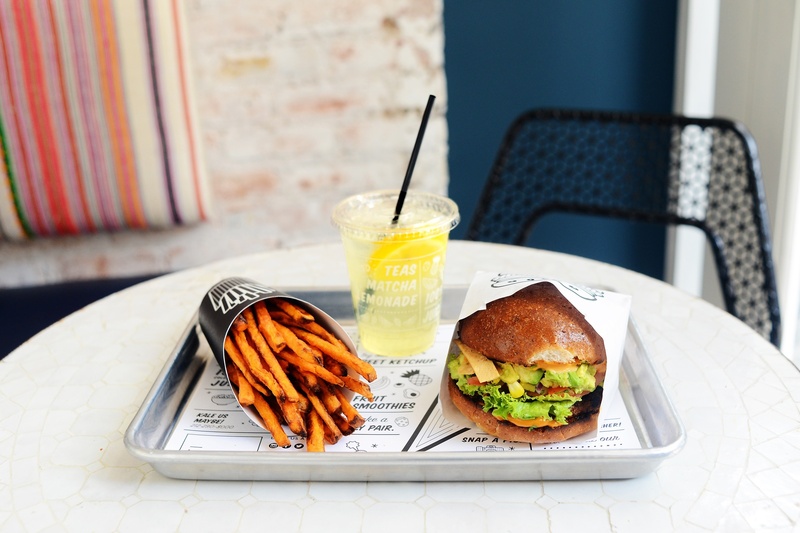 Take a pit stop at By Chloe, a new vegan café that opened in the summer and now consistently hosts queues snaking around the block of hungry plant based fiends. The raw vanilla bean chia seed pudding ($4.95) is not unique but extremely tasty, as are the constantly changing vegan cookies and dairy-free ice creams. Absolutely recommended is the green hummus (hued with spinach ($5.95)), matcha kelp noodles ($5.95) and Southwestern quinoa salad (quinoa, black beans, sweet corn, jalapeno, toasted pumpkin seeds and a agave lime dressing ($6.95)). Wander around the West Village which speaks of a Bohemian past, even if the tranquility has been somewhat cleaved by the throngs of tourists asking where Carrie Bradshaw lives and for directions to ‘Central Perk’. 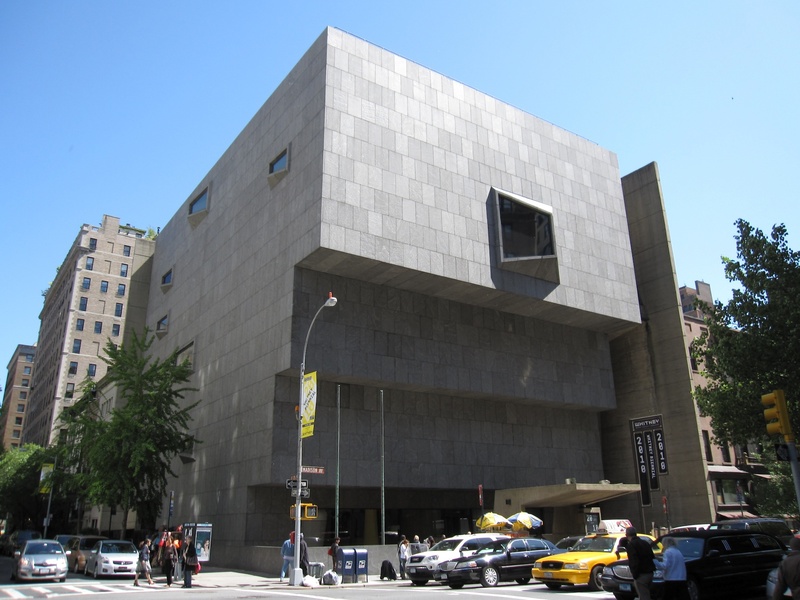 The Whitney Museum of American Art is worth a look, and it conveniently sits next to the Highline, a 1.45 mile long elevated linear park that provides the perfect pathway from which to watch the sun set over the Hudson. A food tour around Chelsea Market, one of the original indoor food halls, will give you a true snap shot of New York food culture in one, avenue wide destination. 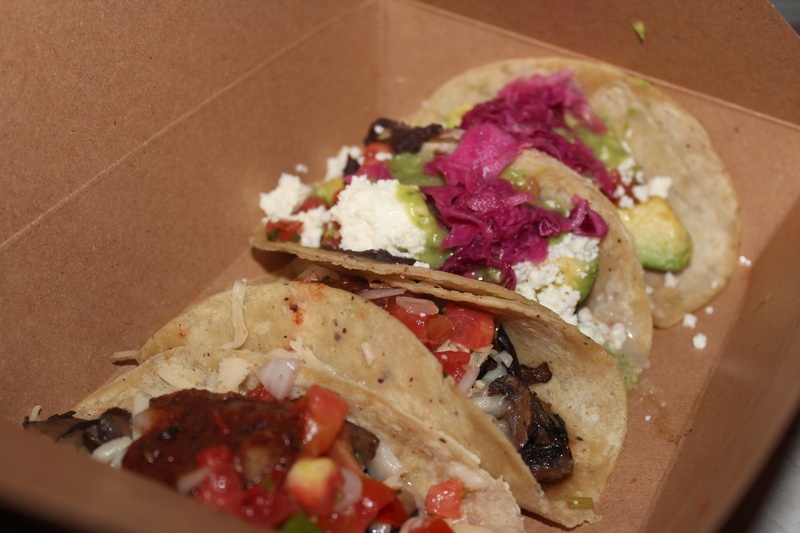 Of course order the famous al pastor pork taco, which pairs shaved, spit-roasted meat with a tangy pineapple salsa if a carnivore, or the nopal (grilled cactus) if you are veggie, at Los Tacos No. 1, which might be some of the best Mexican outside of Mexico. A heartier option is the superb pasta tasting menu at Italian stall Giovanni Rana, which might rival those at Little Italy/Eataly. The menu allows you to sample a variety of homemade pastas (though do not miss the truffle mushroom ravioli). Sample many times, but leave room for Doughnuttery, a donut purveyor all the way at the back of the market. Go with the Urban Monkey (banana, coconut and coffee powdered sugars) and PB&J (peanut butter and grape candy) and then pair your donuts with a latte from the nearby Ninth Street Espresso kiosk. Meander back down to West Houston and see a film at Film Forum, a nonprofit movie theater which began in 1970 as an alternative screening space for independent films, with 50 folding chairs, one projector and a US $19,000 annual budget. Today, Film Forum is a 3-screen cinema open 365 days a year, with 250,000 annual admissions, 5000 members and a $5 million operating budget. An eden for the thoughtful and indie-film lovers, Film Forum play an international array of films that treat diverse social, political, historical and cultural realities. Finish the night at Employees Only, one of the most reputed speakeasies in NYC. 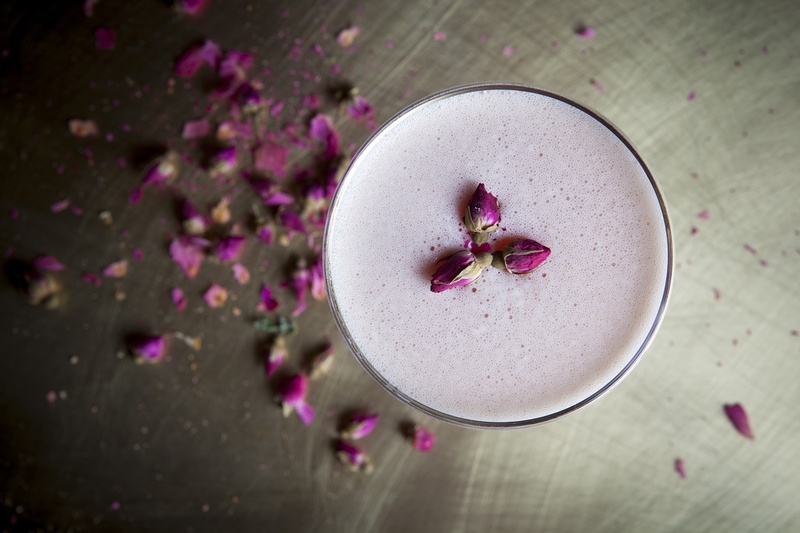 Celebrating their 10th anniversary in late 2014, EO is one of the elder children of New York’s modern cocktail revival (in company with the likes of Death & Co., Milk & Honey and PDT). The philosophy of the service here is connection. Eye contact is key when ordering, and means your Manhattan cocktail (Rittenhouse Rye stirred with Italian Vermouth, Grand Marnier and a few dashes of Angostura Bitters) and Amelia (Aylesbury Duck Vodka & St. Germain Elderflower liqueur shaken with puréed blackberries and fresh lemon juice) will be made with the kind of intentionality and passion which will likely make it one of the best you have tasted. **If you are feeling up to it, hit Baby Grand after Employees Only. Baby Grand is a tiny karaoke bar which makes the crowd more tolerable than many alternatives. Open until at least 1am Monday to Thursday and then til 4am on Friday, you’ll often chance encounter Broadway performers kicking it here on their days off. Café Select is a casual Swiss spot with European rail-station-restaurant vibe & a hidden late-night space in back. It is also where you will find many New York natives on any given Saturday or Sunday. The avocado toast is to die for — not on the regular menu but always on the specials board. Also recommended is a croque madame and a latte with their homemade almond milk. 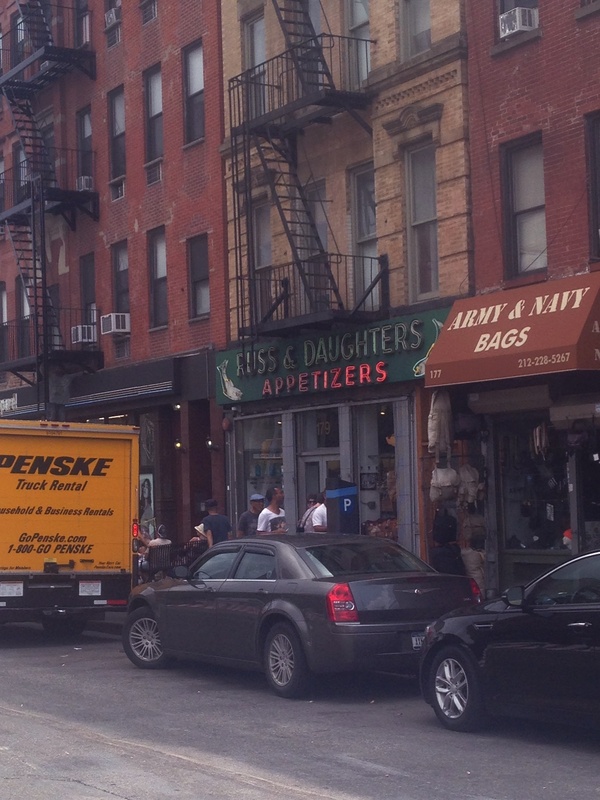 Because you are doing things right, Russ & Daughters must be visited for the best bagel and lox you’ll ever have. A food that provided sustenance to poorer Jewish immigrants is now staunchly “New York food”. Bagels and lox (lox comes from the Proto-Germanic lakhs, which means “salmon”) have moved past being sequestered to only ‘Jewish food’ because so many people identify with it and it covers a multitude of sins; Saturday brunch, food you eat when you get married, easy and quick lunch, or the food you eat when you sit shivah (week-long mourning period in Judaism for first-degree relatives). It’s an institution, and must be eaten at Russ & Daughters. The afternoon shall be for arepas and vegan donuts. Arepas are best had at hole-in-the-wall arepa bar Caracas in the East Village, and for the less familiar, the homemade Venezuelan dish are dense yet spongy corn-flour rounds, filled with many things delicious, avocado to black beans and pulled pork. Go hunting for the Cinnamon Snail – a vegan food truck which makes all varieties of vegan street food (hello chipotle seitan breakfast burritos) but specialises in plant-based donuts which sing to the tune of raspberry cheesecake donuts and pumpkin pie flavours. 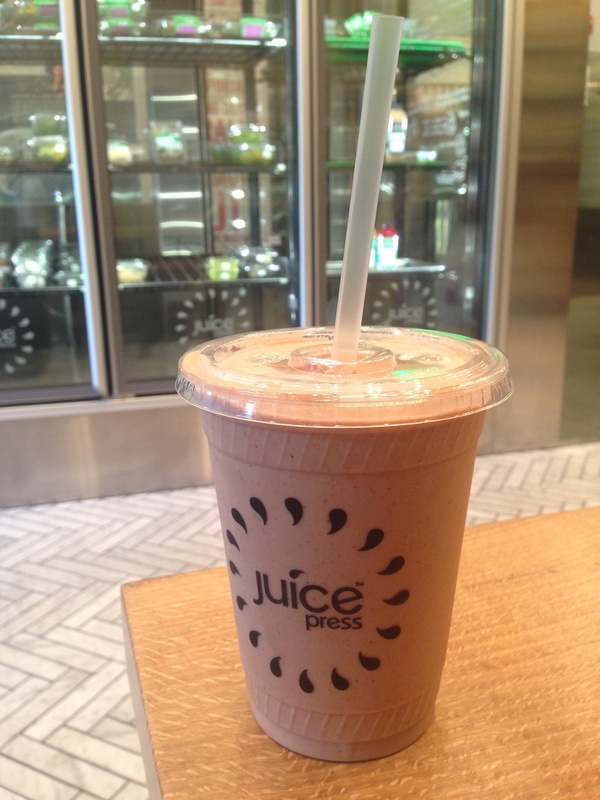 In an attempt to remedy the body, head to Juice Press on 1050 3rd Avenue for excellent juices, smoothies and raw foods. Get the Heaven on Earth — almond milk, banana, dates, almond butter, cinnamon, cacao – which genuinely is as close to the heavenly realms as one can reach by means of juice. Take the angelic beverage and stroll 15 minutes to Luke’s Lobster at the bottom of The Plaza Hotel overlooking Central Park. Iconic and perfectly composed, this lobster roll is filled with generous amounts of traceable, sustainable seafood from fisheries along the gulf of Maine, is crammed into a warm, crispy/soft brioche roll and topped with a seasoning that is a blend of celery salt, thyme, oregano and black pepper. 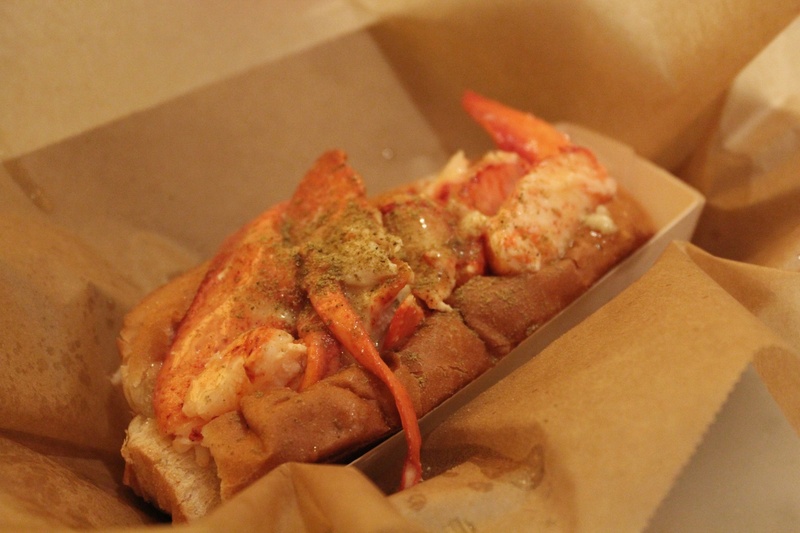 Simple but spot on, it might just be the best lobster roll you have ever had. Take it and your delicious smoothie and traipse through Central Park, feeling somewhat typical yet entirely content. If you looked up farm-to-table in the dictionary, a picture of Blue Hill in Greenwich Village would not be amiss. 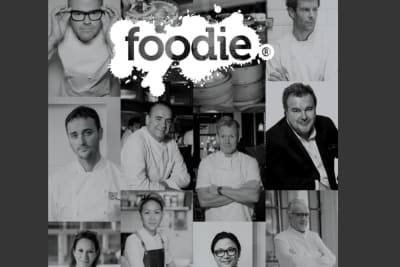 Chef Dan Barber has a cult following among chefs and foodies, and his menu is not too much of a splurge (three courses will be around $85) yet ensures an unforgettable experience. Expect to see curried zucchini and almonds with sunflower seeds, raspberries and onion-bacon broth or perhaps a black dirt carrot cutlet with smoked apple, yoghurt, spinach and dill. A rooftop bar in New York that isn’t filled with tourists or people who should probably stay in their offices can be hard to find at times. This doesn’t mean the magic of the Manhattan rooftops should be missed out on however, and from Blue Hill grab a cab to Refinery Hotel’s rooftop on West 38th Street. Very ‘New York’ and with a gasp-inducing view of the Empire State Building, stay here until the night creatures truly arrive and then catch a cab 5 minutes down the road to Birreria (next to Madison Square Park, on top of Eataly) and take in all the lights of the Chrysler Building and the Empire State with a rarely spotted Moretti Bionda on draft or an Italian wine poured by the carafe or quartino.